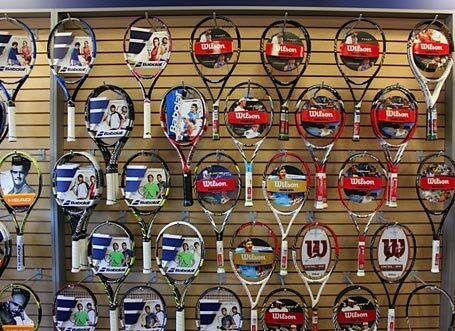 Let our knowledgeable staff, which includes a USPTA certified tennis pro and USRSA rackets stringers, assist you in selecting the perfect racket and string for your playing style. Then your racket will be strung to the tension best suited for you. 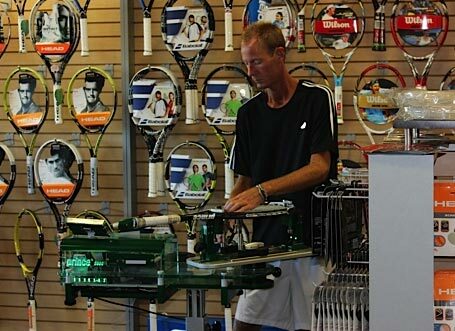 Need your racket restrung? Bring it in to the Tennis Set and talk to our USRSA certified stringers about the string and tension which will fit your game. We offer expert stringing with a quick turn around! Not sure which racket to select, borrow one of our demo rackets and try it out.